Giant 20' Christmas Tree with face. Great for seasonal shopping, have a Christmas in July sale! 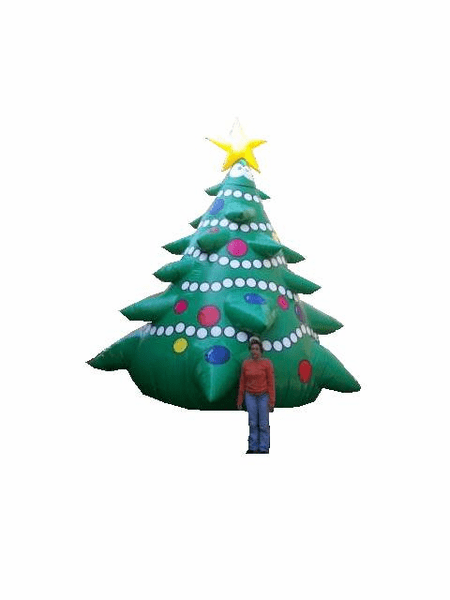 The Christmas Tree Inflatble is a great way to spread some holiday cheer; whether it's for Christmas or Christmas in July! Put on your roof and people will see this GIANT 20' inflatable tree from a mile away! And like all of our balloons, before we send it out, it's inflated and inspected. You will ALWAYS be satisfied with the product you order from us.